Winnemac Park Neighbors, Ravenswood: Chappell Elementary School fundraiser at Mariano's THIS WEEK! Chappell Elementary School fundraiser at Mariano's THIS WEEK! 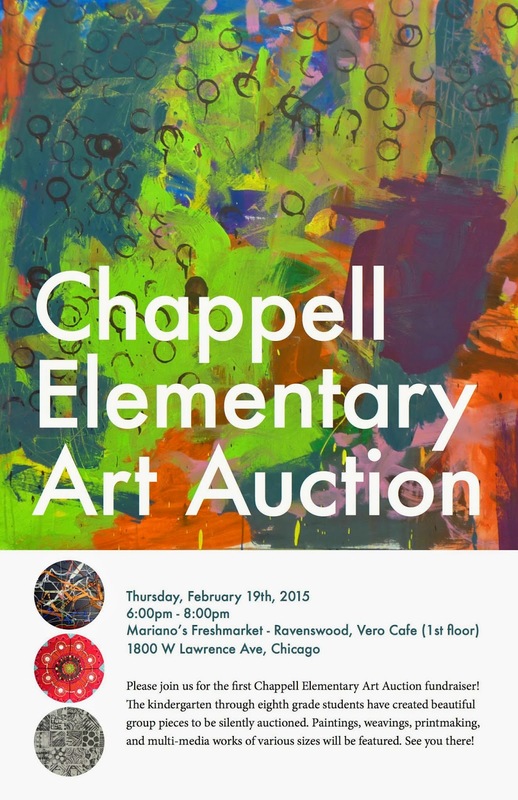 Community members are invited to Chappell Elementary School's first Art Auction Fundraiser! Beautiful paintings, weavings, printmaking and multi-media works created by kindergartners through 8th graders will be featured and auctioned off to raise money for the school. The auction will be held in Vero Cafe on the first floor of Mariano's, at Lawrence and Ravenswood, from 6-8 pm, on Thursday, Feb. 19. Come learn about the great things that are happening at Chappell, and see the beautiful pieces created by our talented students!